Generally speaking, I am interested in the intersection of social psychology and consumer behavior. I am particularly interested in how social and situational forces can impact our behaviours as consumers. In this stream of work I examine how self-identity and social influence can impact consumer attitudes and decision making. I am also very interested in how we can change people’s behaviours for the social good and I study how we can shift people’s attitudes, choices, and behaviours to encourage positive actions such as engaging in sustainable behaviours, charitable giving, and making prosocial choices. Kate is currently Professor of Marketing and Behavioural Science at the Sauder School of Business, University of British Columbia, Canada. 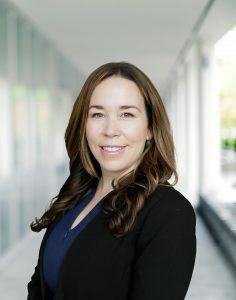 She is Chair of the Ethics and Sustainability Group at UBC and she holds a professorship in Consumer Insights, Prosocial Consumption, and Sustainability. Kate teaches courses in consumer behaviour, consumer insights, social influence, marketing strategy, and sustainability/ social marketing at the undergraduate, graduate, and executive levels. Kate has been the lead on various large-scale consumer behaviour-change projects with clients such as The City of Calgary, Health Canada, My Sustainable Canada, DDB Canada, BC Hydro, Big Rock Brewery, The United Way, and the SPCA, and Celgene Health Care. Kate’s industry collaborations focus on shifting people towards various types of positive, sustainable behaviour change.